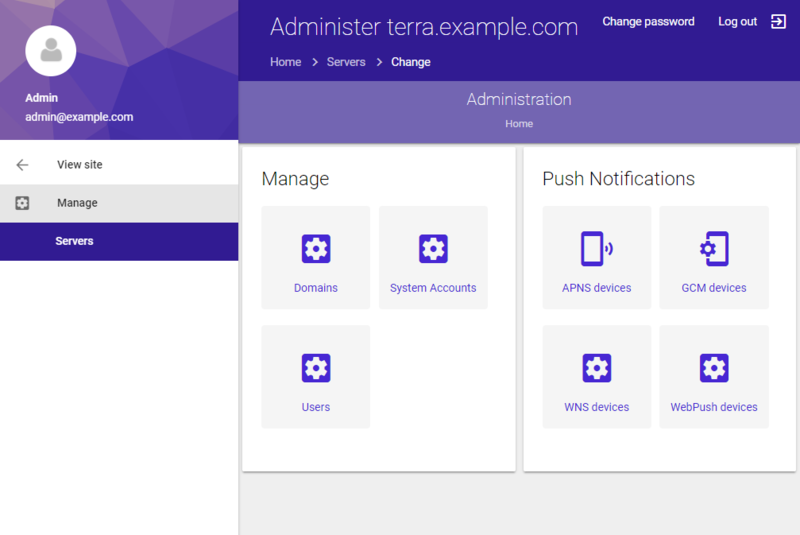 CrossBox features a simple to use administration interface which is used for managing a CrossBox server. Replace hostname and port with those you specified during the installation. Replace area in the URL if you chose a custom Admin Area URL during the installation. When using CrossBox for cPanel or Plesk, this is already automated with hooks. When a new cPanel/Plesk user is created, the domain being created is automatically added to CrossBox if the cPanel/Plesk user has CrossBox enabled. Simply log in to your CrossBox Admin Area and manually add domains that you wish to have CrossBox enabled. An account is a Linux user which you wish to associate with the domain. A name is domain's name. After you click Save, the domain you specified will be allowed to use CrossBox. When submitted, the form will also output DNS records for DKIM, SPF, and DMARC. Make sure you add these to your domain's DNS zone to maximize e-mail deliverability. This feature is only available in the standalone version. Make sure that the domain you are creating has MX records pointing to an IP address of the server which is running CrossBox. When using CrossBox for cPanel or Plesk, this is already automated with hooks. When a cPanel/Plesk user creates a new e-mail address, the e-mail address which is being created is automatically added to CrossBox if the cPanel/Plesk user has CrossBox enabled. If you are using CrossBox with a control panel which is not officially supported, you can skip this step. This is possible because CrossBox will auto create a CrossBox Account when a user logs in with an e-mail address/password combination which is recognized as a correct one by a local mail server. After you click Save, the CrossBox user you specified will be created along with a fully functional e-mail address. 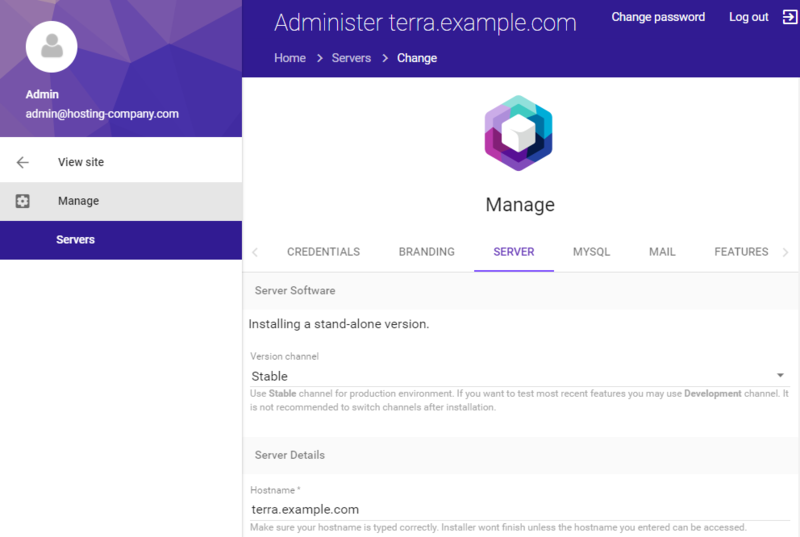 To manage a CrossBox Server login to your Admin Area, pick a server you wish to manage and click "Manage". 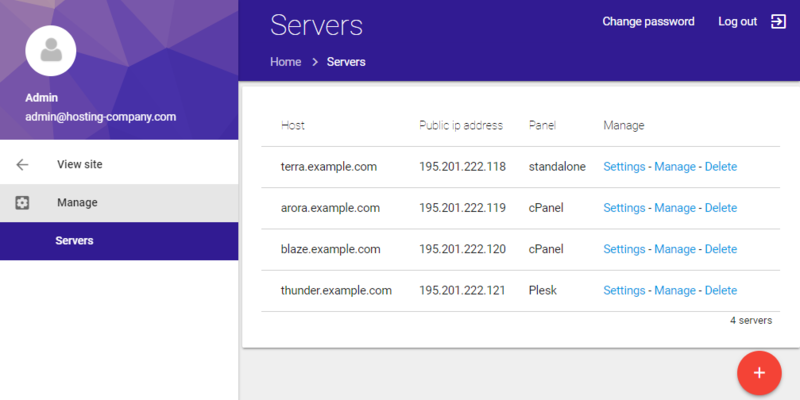 To change the CrossBox Server Options, login to your Admin Area, pick a server you wish to modify and click "Settings".